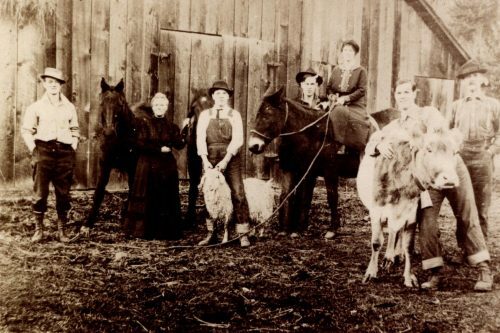 This is a very early photo of the Wicks Farm. 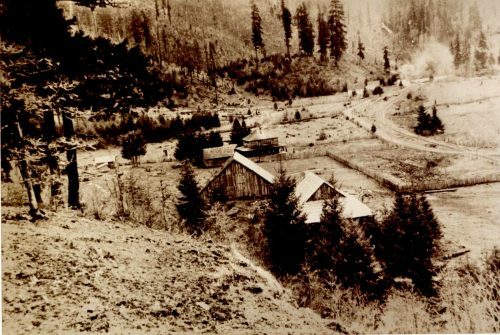 The early buildings of the Star Ranch can faintly be seen in the upper right hand corner. 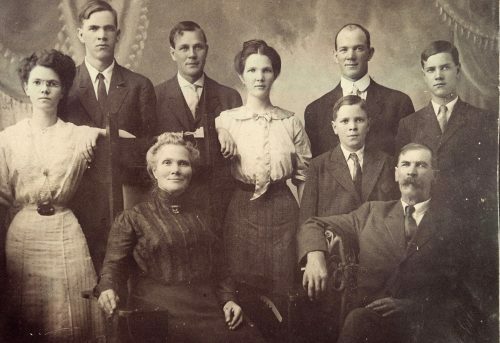 A descendant of the Wicks Family sent us some great old photos. The Barns are no longer there, but the house, and a newer barn now on the other side of the house, still exist about a half mile upriver from Dorena School. Here is the Wicks Family with one of their prize cows in front of one of the old barns. The Wicks Family from left to right..Fairy, Alvis, Roland, Ida, Iva, Lesley, Miles (young boy) Joseph Wicks, and Raymond.